The Patriots have decided to move on from Chris Hogan. There were reports early in the offseason that Hogan was garnering interest from “multiple teams.” They were never believable, and signing this deep into free agency after no known visits with other teams shows Hogan’s market was extremely weak. 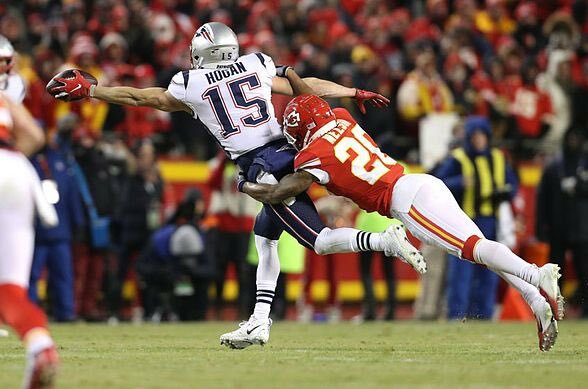 Hogan had trouble breaking through the Patriots’ undermanned receiver corps in 2018 to catch just 35 passes but turned them into 532 yards (15.2 YPR) and three scores. Panthers signed former Patriots’ WR Chris Hogan. ← Entering The Mind Of A Genius. Belichick Opens Up About NFL Draft Strategies.